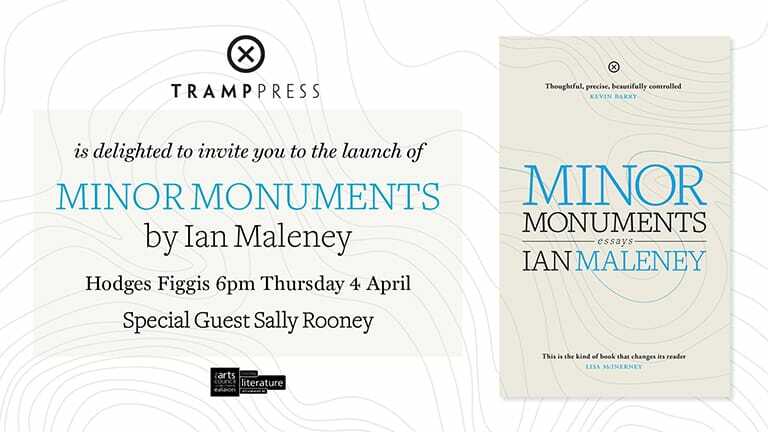 We are delighted to be officially launching the much-anticipated Minor Monuments by Ian Maleney in Hodges Figgis on April 4th at 6pm. Minor Monuments is Ian’s debut essay collection, and he’s already been published in such illustrious places as Winter Papers and the Dublin Review. You can read more about it/order a copy here and listen to Ian reading it for RTÉ’s Book on One here. Rockstar novelist Sally Rooney will be our guest speaker on the night (buy her books here or in your local bookshop). We’re really proud of this beautiful collection and hope to see you all in Hodges on Thursday for a glass of wine and the best reading you’ll hear all year. Everyone is welcome, it’s free in, and there will be wine while it lasts.